recommended natural whitening ingredient, hydroxyapatite. Smile confidently with Arctic White! 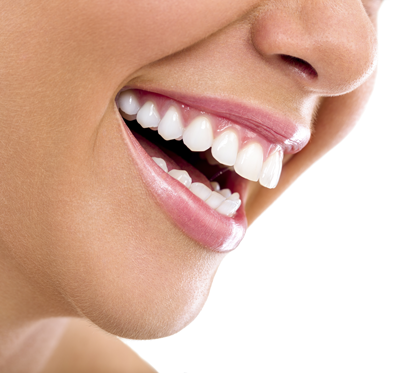 Everyone loves the feeling of clean teeth, fresh breath and a bright smile. With Arctic White, you can have all three. 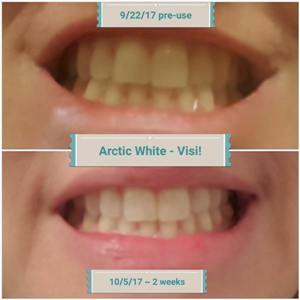 Arctic White is a new whitening toothpaste featuring a breakthrough ingredient called hydroxyapatite backed by multiple clinical studies. Most whitening toothpastes REMOVE surface from the tooth, which is aggressive and invasive. Arctic White, whitens teeth by ADDING surface to the tooth which reintegrates the enamel, creating more shine and more resistant to external aggression. Directions: Brush thoroughly after meals or at least twice a day. Glycerin, Water, Hydrated Silica, Xylitol, Hydroxyapatite (Kalident), Calcium Carbonate, Cellulose Gum, Mentha Piperita (Peppermint) Oil, Rubus Chamaemorus Extract (Cloudberry), Vaccinium Vitis - Idaea Seed Oil (Lingonberry), Sodium Lauroyl Sarcosinate, Rebaudioside A, Carrageenan, Gaultheria Procumbens (Wintergreen) Leaf Oil, Mentha Spicata (Spearmint) Leaf Oil, Rubus Idaeu s (Raspberry) Seed Oil. Week 4 of using Arctic White!!! ❄ I am so happy with my results so far!! 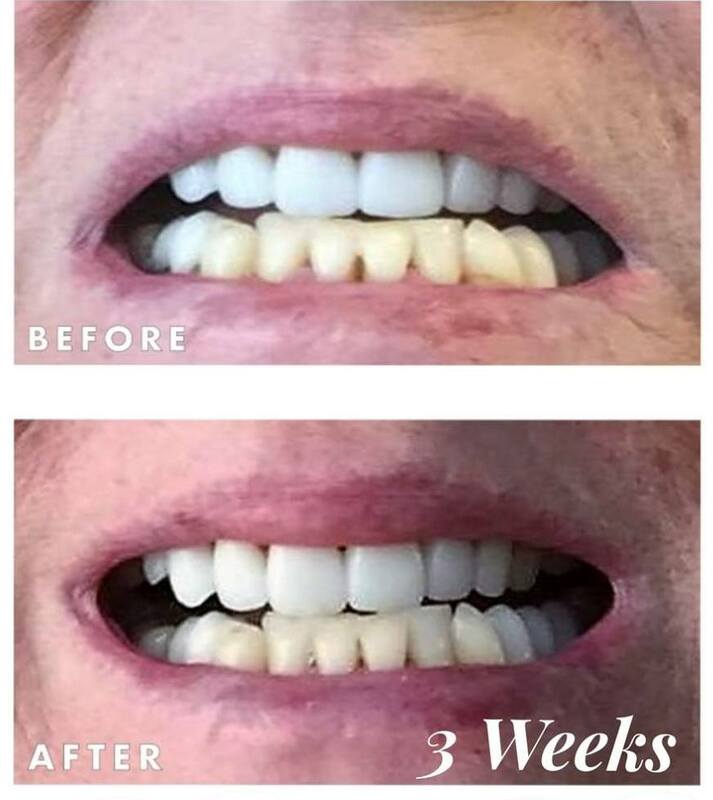 I can't imagine why anyone would NOT want to use this product and have a whiter, sparkly smile, especially at such an affordable price!! If you haven't tried this yet, place your order!! 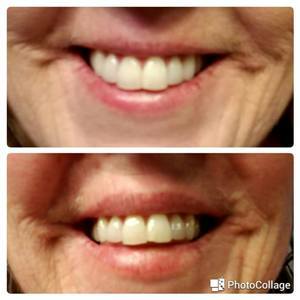 You'll have a beautiful smile just in time for the holidays!!! 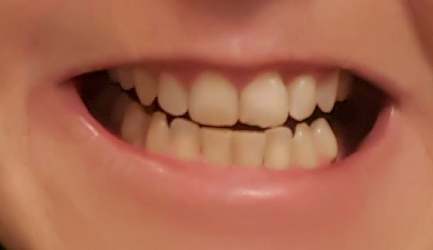 Not a big fan of showing the crooked and crowded teeth, but doing so to make a point. Arctic White has not only whitened my teeth significantly in just about a month of using, but also has really impacted the amount of tartar/plaque buildup that can be difficult to keep up with when the bottom teeth are crowded. 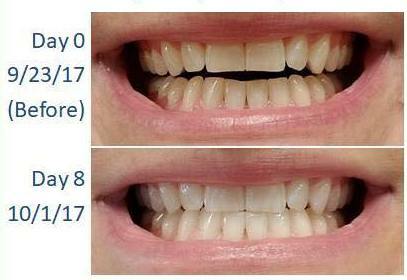 It has been absolutely amazing and my teeth are not only clean and whiter, they are getting healthier! My dentist will be quite surprised when I go for my next cleaning! I'm impressed with the results after ONE use of The Arctic White Toothpaste! - Cheryl B. "I couldn't help it - I know I was supposed to wait 3 weeks to check my progress, but I was seeing such a difference, I had to take another picture for comparison! This is just under 2 weeks! Amazing!!! I actually look forward to brushing my teeth!" For those of you that asked... here is my 1st set of before and after pictures using Visi Arctic White toothpaste. I really thought it would be too early to tell visually, but you can definitely tell that my bottom teeth have brightened, closer to the color of my top teeth. And I can tell a huge difference in how they feel and that the enamel LOOKS stronger! A little dental history... I have used Sensodyne whitening for several years to help with cold sensitivity in my molars. And bleaching products always made my teeth ache terribly. In the past week, I have had no pain or sensitivity whatsoever. 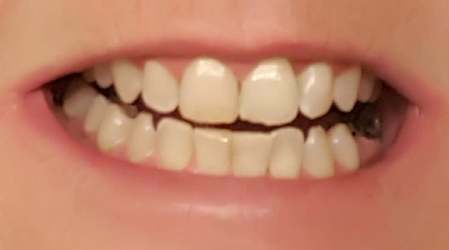 Over the past few years, the enamel on my teeth has become almost translucent, which drove me crazy. I LOVE this toothpaste and am a huge fan! It is soooooo worth the money!